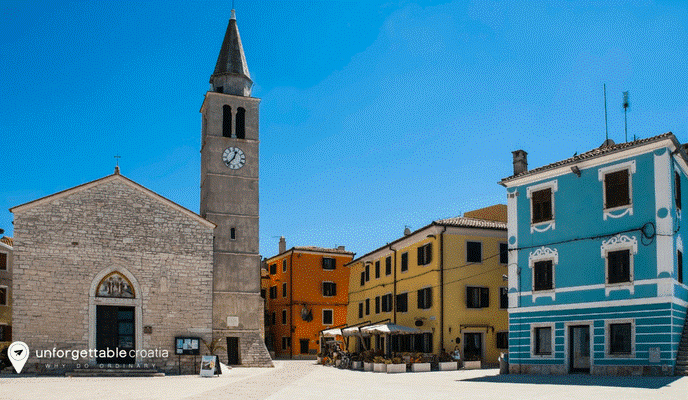 The stunning heart-shaped peninsula of Istria is the largest in the Adriatic Sea. 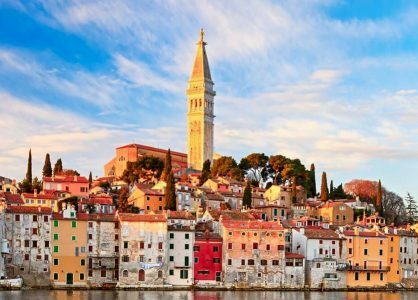 Nestled in the northwest corner of Croatia, Istria is a food lover’s paradise that is proud of its unique shared Croatian, Slavic and Italian heritages. If you appreciate good food and wine, Istria has an abundance of hotspots where you can indulge in unforgettable gourmet experiences. You will also have an opportunity to feast your eyes on the stunning panoramic scenery of this less-explored area of Croatia, as you explore new taste sensations and homemade delicacies. Situated in the countryside, Bale (or Valle) is a charming small town with Roman origins. Villa Meneghetti is surrounded by vineyards and olive groves and boasts refined décor, a relaxing ambience and complete privacy. You’ll have an opportunity to sample amazing sweet wines, and produce that comes directly from the farm. Homemade delicacies like goat cheese ravioli with orange sauce are also on the menu. To work off those extra calories there are indoor and outdoor pools, bikes, and hiking equipment available on site. Fabulous Fazana is situated on the coast. The neighbouring Brijuni Isles are famous for their natural beauty and historic sights. Take a ferry trip and explore the 13th century St. Mary’s Church, the ruins of a Bronze Age settlement and the Byzantine palace. Over 200 dinosaur footprints were discovered here! On return to Fazana, dinner at Alla Beccaccia is not to be missed. Feast on the fresh calamari and octopus salad or the catch of the day whilst admiring the magnificent views. The town of Novigrad is relatively unspoiled by tourism, and has a charming fishing village appeal. Impressive historical monuments include the Lapidarium Museum, the Parish Church bell tower, and St. Pelagio and St. Maxim’s Parish Church. 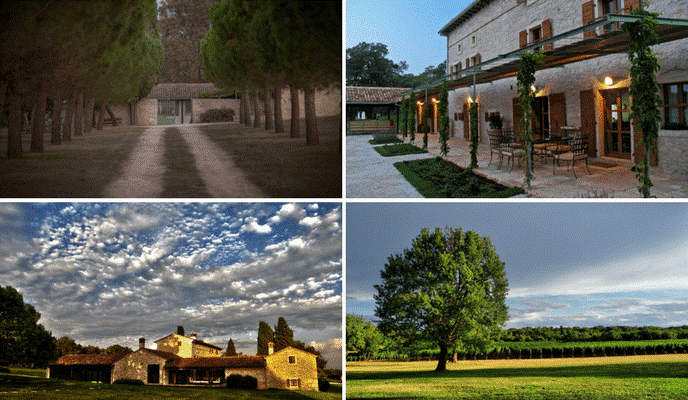 Stay at the Hotel Cittar for an authentic Istrian experience. At the local Marina restaurant you can enjoy spectacular sunset views of the harbour whilst enjoying fresh seasonal courses that are newly created by the chef every day. Rovinj has a reputation for being one of the most romantic cities in the Mediterranean. The small and charming coastal resort boasts an exceptional array of interesting cultural, historical and archaeological attractions and sights. If you’re hoping to enjoy a memorable gourmet experience, you won’t be disappointed. Start the evening off at Valentino’s champagne and cocktail bar. At Calisono you can take your pick from tasty pizza, pasta, and risotto dishes that are popular with the locals and tourists. End the night sipping sweet wine and watching the stunning sunset. 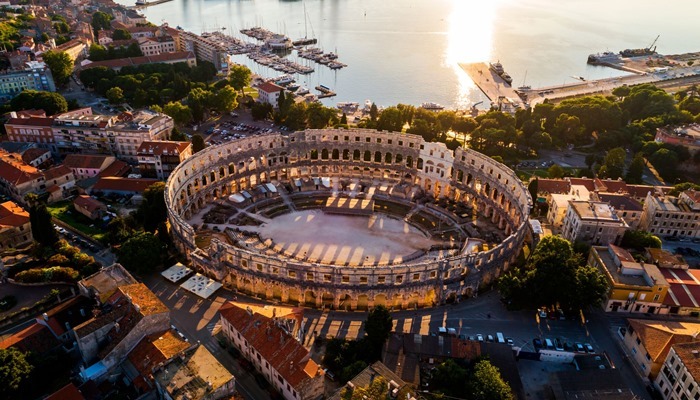 Pula is undoubtedly one of the most popular destinations in Istria. A wander along Sergijevaca Street will lead you directly to the many boutiques, bars, and souvenir shops that attract thousands of visitors every day. If history is more your thing, there are many amazing ancient ruins to explore, plus medieval citadels, churches, and monasteries. Set in a modern 3-star hotel, the Milan restaurant is an intimate eatery where you can dine on specialities like frogs’ legs and polenta, and fresh riches from the sea. As the extensive wine menu boasts 700 options, you may need the waiter to recommend a few bottles. Our team of Croatia travel experts can help you organise an unforgettable holiday to Croatia. 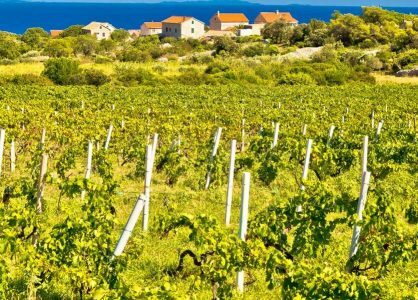 We can organise a bespoke Croatia multi-centre holiday with private food and wine-tasting tours from our favourite suppliers across the country. 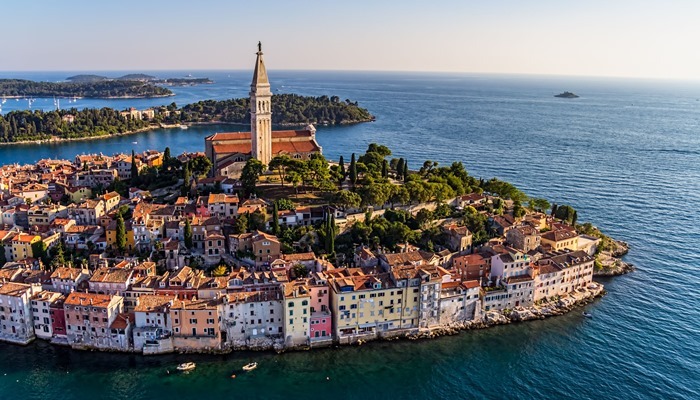 Alternatively combine a trip to Istria with a luxury Croatia cruise. On board you’ll enjoy three-course gourmet meals every day whilst taking in the stunning Adriatic coastline. Call us today on 020 8004 2345.